Gmail is one of the best online free email service provided by Google but it is really slow. Not everyone has access to high speed internet service. Using gmail on a slow network really makes it a great painful experience. If you’re having trouble accessing gmail on slow internet, our tutorial is for you. 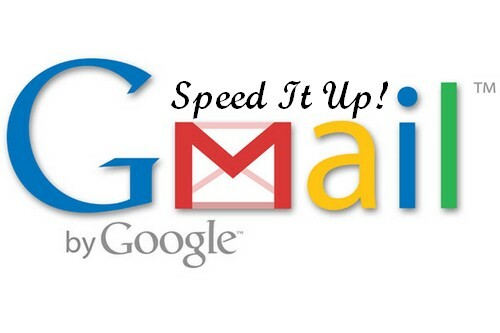 In this guide, I’ll discuss ways to make gmail faster. Disable Webclips in your gmail account. Webclips are feed updates from your chosen websites that are displayed above inbox in a very limited estate. To disable this, go to your gmail account settings > Web clips > Untick the box marked Show my webclips above the inbox. Use less or no gmail labs feature. Some of the labs app/tool could make your gmail slow. Disabling those unnecessary labs feature might help speed up a bit. To disable this, visit gmail settings > labs – Choose Disable from the listed enabled labs tools. If you don’t want to disable all your gmail labs features, but temporarily access your gmail account faster, you may go to this https://mail.google.com/mail/?labs=0 . This will load your gmail account without labs. Disable Gmail themes. Themes may appear visually appealing but they really slow down loading of account. It is better advised and recommended to use the default theme without any graphics. Open gmail settings > Themes > Choose default color themes (Light). Turn off Gmail Chat feature. Go to gmail settings > Chat > Select Chat Off option. If you use gmail chatting feature, then Sign out of gmail chat and disable the chat widget after use. This will prevent the chat gadget in gmail to load automatically speeding up gmail. When required, you can enable gmail chat again. After using it, sign out of it again so that the next time you open your gmail account, chat gadget is not loaded by default. Lower the number of email conversation/messages displayed per page. By default, 50 email messages are displayed on a page when we sign in gmail. We can reduce that number to display 25 most recent emails by visiting gmail settings > general > Under Maximum page size, select 25 or less conversations per page. Save changes. Don’t display external content in mails automatically, like external images or other content. To make this rule effective, go to gmail settings > general > Under External content, select the option marked Ask before displaying external content. 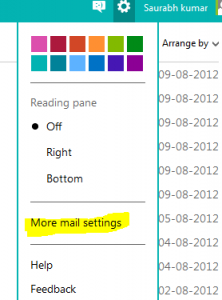 This will make loading of individual emails faster. Disable People Widget in gmail. People widget is new gmail feature which displays information about the people involved in particular email conversation by retrieving data from Google Plus, Google contacts, calendar and other Google products and services concerning that person. 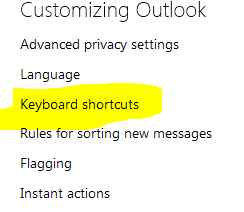 Disabling this will also affect speed. TO do this, enter gmail settings > General > Under people widget, Select – Hide the People Widget. Done! Bookmark gmail inbox url on bookmarks bar in Google Chrome or Bookmarks Toolbar in Mozilla Firefox so that with a single click, you could be able to land into your gmail account. Always bookmark the direct inbox url that starts with https. Load gmail without browser checking module. Whenever gmail loads, it checks for the browser compatibility to provide a good user experience. Many experts consider it unnecessary overload as most of the modern browsers support full featured and fledged gmail. Well, I consider it otherwise. Google has its own SPDY protocol in place for speeding up Google services and if the browser supports this protocol, Google serves its properties using SPDY protocol – This could a good case where browser checking makes sense. But you may try loading gmail without browser checking feature by visiting https://mail.google.com/gmail?nocheckbrowser … This may add to speedier opening of gmail. If you’re on mobile phone, it is recommended to install official gmail app for your mobile to access gmail at fast speed. Not all of the above points are required to be followed, you can follow only those which are just right in your case. If you step on all of these points, you’ll successfully be able to make gmail fast. You may also like to read about gmail sign in security tips.